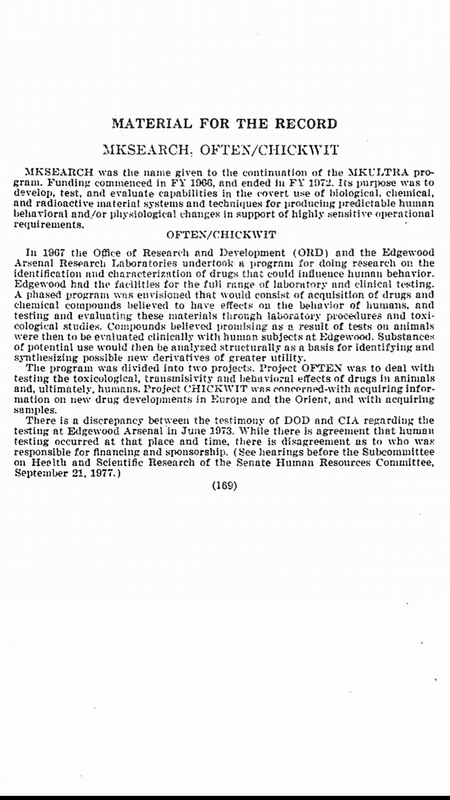 MK Ultra was never shut down, Just renamed. SS : MK Ultra was never shut down just renamed into mksearch and other projects. Also another link someone shared here which was a very interesting read. www.cia.gov/library/readingroom/docs/CIA-RDP96-00788R001700210016-5.pdf Analysis and Assessment of a Gateway Process this is what surpassed MKUltra, it is known as the Simulacrum. Surprisingly, wiki shows a lot about Edgewood.